The patterns of thought regarding “active participation” that would eventually subvert the Church’s liturgy were already present in the mind of Pope Pius XI when he attempted to rid the Church of the traditional way of silent participation. “There are those who, without wholesome liturgical and pastoral criteria, mix practices of piety and liturgical acts in hybrid celebrations. It sometimes happens that novenas or similar practices of piety are inserted into the very celebration of the Eucharistic Sacrifice. This creates the danger that the Lord's Memorial Rite, instead of being the culmination of the meeting of the Christian community, becomes the occasion, as it were, for devotional practices. Now that things have come into the open, we can see what had been hidden from us in the years preceding Vatican II and where it has led. With his support for congregational singing and responses in Divini Cultus, Pope Pius XI produced a landmark mandate for change, which corresponded neither with the lex orandi of the Roman rite nor with the requirements, interests or desires of the Catholic faithful who had been worshipping in silence for centuries. It is not surprising, therefore, that by the late 1920s, liturgical experimentation was already well under way in Europe, especially in some Benedictine Abbeys , (4) in the German-speaking lands (5) as well as in parts of America. (6) This involved “Dialogue Mass,” Mass facing the people, vernacular responses, congregational singing, Offertory procession, handshaking etc., all of which went into the melting pot to emerge as a ready-made template for a “democratized” liturgy. So, by the time Pius XI issued Divini Cultus in 1928, the vague expression “active participation” had a circumscribed meaning among the reformers, but was unknown among the mass of ordinary Catholics who had never asked for it. This suggests that the spirit, which hovered over Pius XI when he recommended “active participation,” was akin to the spirit of Beauduin, which eventually gave rise to a new perception of the Church and the priesthood. A sizeable section of Divini Cultus is devoted to the standard propaganda employed by the reformers about congregational singing in the early history of the Church. In proposing “active participation” Pius XI was certainly influenced by the modernists’ search for a “more authentic” form of participation predicated on the belief that the congregational singing of the early Christian era was the original and, therefore, the true way for the laity to follow. He listened to the advice of the reformers who believed that the Church’s lex orandi had been defective for centuries and had deprived the laity of their true participation in it. The underlying assumption is that after 14 centuries of idle watching and listening, it was only in the 20th century that the Catholic congregation was restored to its “rightful” role of singing and speaking in the liturgy. 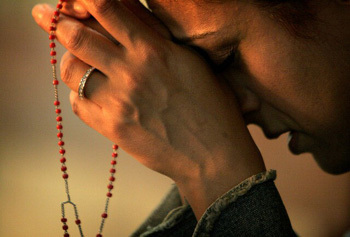 Implicit in this vision was an attack on what the reformers called “devotionalism” – but which was in reality the venerable practice of private, mental prayer made by the faithful during Mass – deemed to have sullied the purity of the original Christian liturgy. Thus, “active participation,” understood as an attempt to retrieve a lost primitive ideal, has a utopian and ideological edge to it. Because it was the brainchild of liturgists, historians and politically motivated parties interested in advancing their respective careers, it could hardly be called a truly pastoral reform. 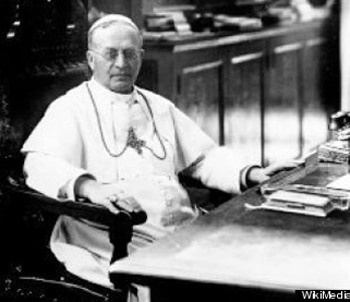 Now, we can see the background of Pius XI’s unworthy rebuke to the faithful who were praying silently at Mass as “detached and silent spectators”: unlike his sainted predecessor, he had allowed himself to be influenced by the progresivists’ preference for a return to the sources of Christian liturgy (known technically as ressourcement). As the congregational singing and dialogue promoted in Divini Cultus came neither from Pius X, nor from the conservative clergy, nor from the faithful, only one source remains: the liturgical saboteurs of the 1920s who had been working under the protection of liberal Bishops and managed to gain the ear of Pius XI. We cannot overlook the fact that Pius XI’s promotion of “active participation” has had a significant bearing on the direction of the liturgical revolution, and has been one element in facilitating the confusion between clerical and lay roles that would later aflict the Church. He could have suppressed the burgeoning movement, but, instead of nipping it in the bud, he allowed and encouraged the ever-expanding revolution to continue on its nefarious course. The problem with using imprecise language in official documents is that it can be used to confer wider and more arbitrary powers on commissions and regulatory bodies that employ it – which is how Episcopal Conferences could so easily implement “active participation” after Vatican II. The unfortunate result, as the dismal history of liturgical reform has shown, was that the faithful were no longer protected from the arbitrary power of Bishops to impose on them their own agenda of “active participation”. The phrase became a powerful tool to later demolish the Catholic bastions they hated: not just “devotionalism,” but the unique status of the priest, the “rubricism” of the Tridentine Mass and the whole system of Scholasticism. Unless these essentials were guaranteed by papal authority, nothing of the original Church would be left standing: indeed, it could not be otherwise. Divini Cultus, with its emphasis on an “active participation,” which was far from universal or traditional, can be said to have made a vital contribution to the emergence of Progressivism in the liturgical domain. Osservatore Romano, 4 December 1969. Pope Paul VI, Marialis Cultus, 1974, § 31 and § 48. Even as early as 1914, at the Benedictine Abbey of Maria Laach in Germany, Abbot Herwegen had celebrated the Dialogue Mass in German. In 1921, the first Mass facing the people was celebrated in the Abbey crypt. This applies especially to the work of Fr. Pius Parsch in Vienna and Fr. 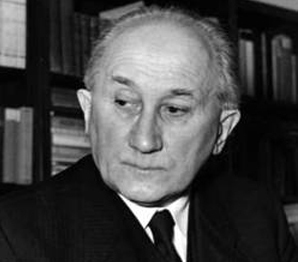 Romano Guardini in Bavaria, who overtook Beauduin’s leadership in this field. Translated from L. Bouyer, Dom Lambert Beauduin: un homme d’Eglise, Paris, Casterman, 1964, p. 45. 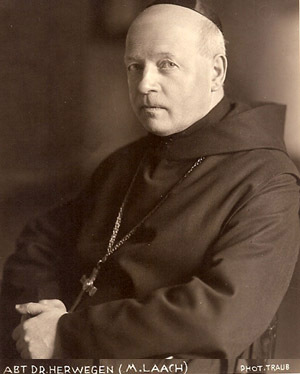 As director of the German youth movement, Quickborn, which operated at Burg Rothenfels, a castle near the River Main, he pursued the most radical liturgical reforms. He became one of Pope Benedict XVI’s favorite theologians. Robert Tuzic, ed., How Firm a Foundation: Leaders of the Liturgical Movement, Chicago, 1990, p. 48.